Notice how fast the narrative moves. The Holy Spirit speaks during worship, and the next thing you know – just two sentences later – Barnabas and Saul are on a boat. It makes me curious. Did the Holy Spirit speak through a single person, or did they sense the leading of the Spirit inwardly and simultaneously? Was there any resistance to the message that doesn’t get recorded here, or was it obvious to everyone present that this was the way forward? If they weren’t initially clear, how did they reach clarity? And unity? These are questions I struggle with in the work to which God has called me at Barclay Press, and I think these are also questions for us in our families and in our faith communities. Are we joining with others to listen together for the leading of the Spirit? Do our convictions come out of “worshiping the Lord and fasting” (13:2) or “fasting and praying” (13:3), and what does that mean or how does that happen in our contexts? If we experience a clear call to go, are we willing to go even if our current work is unfinished? P.S. We have received financial gifts from thirty-nine individuals and churches, totaling nearly $10,000 and putting us just over one-sixth of the way toward our goal of $56,000 for the year. Barclay Press is a non-profit ministry of Friends, and we are only able to do the work we do because of your support. You can join in supporting the continuing work of Barclay Press by clicking DONATE at barclaypress.com, or by sending a check to Barclay Press, 211 N Meridian St #101, Newberg OR 97132. Matthew Avery Solomon and Noel Espinoza were murdered on September 4, 2008. Three men were charged with the crime. In What Is Justice? : A Personal Exploration, author Bill Denham studies the crime and what it reveals about himself and about our broader culture’s pursuit of retributive justice. Incorporating poetry, philosophy, theology, and memoir, Denham suggests an alternative system borne out of our inter-connectedness and reliant on the exercise of our imaginations. What Is Justice? : A Personal Exploration is an engaging, deeply personal, and deeply felt exploration into the meaning of justice. It is an essential and thought-provoking piece. “There is a murder; there is a pending ‘execution.’ There are victims and there are perpetrators. 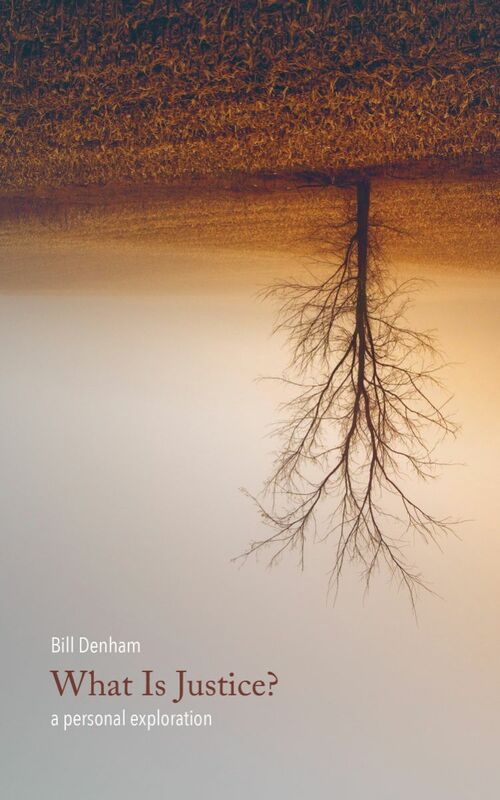 Into the midst of these deep contradictions, Bill Denham plunges with his honest, searing, hope-filled poetry. He dares to imagine that we are all bound together in this human crisis as one. We are not ‘over-against’; we are rather ‘with’ and ‘belonging to.’ That solidarity evokes compassion that presses toward restorative justice and away from revenge. Denham sees that it ‘falls to me’ to do justice. Indeed, it ‘falls to me’ and you and you and you. Those who enter Denham’s world of poetic imagination may be called to care in transformative ways. It is his hope. Indeed, it is our hope!